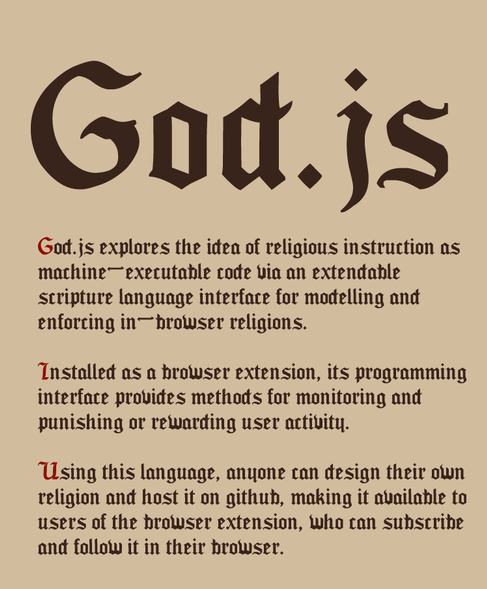 God.js giveth, and God.js taketh away. 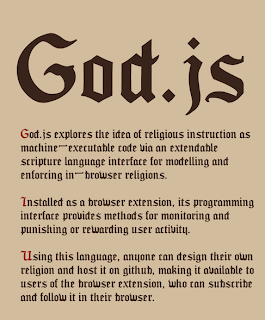 This ability to mock, explore, and interrogate the category of “religion” is, I think, God.js’s most intriguing contribution. It is also the central question of the field of religious studies. But where God.js has been the subject of write-ups by publications as varied as The Verge, the vast majority of religious studies scholarship typically does not crack broader public discourses. In my previous post, I suggested that there are important scholarly connections between the fields of public history and religious studies that have yet to be explored. Collective memory and public commemoration have been driving forces of American religious history, I argued. But here, I’d like to focus on how there are also important professional connections between the work of public history and the field of religious studies. For in this climate of austerity, where the humanities are in crisis and the relevance of the liberal arts is openly questioned, it is incumbent upon scholars to make public engagement a vital component of their academic profile. And the web, I think, provides one of the most exciting outlets to realize this mission. The lack of digital humanities research within religious history or religious studies is unfortunate in part because of the scholarly and interpretive possibilities DH can open for the field. Over at the Juvenile Instructor, Tona Hangen has dreamed up an entire list of digital Mormon studies projects, from topic modeling Mormon diaries to analyzing the networks of Mormon publishers. One could easily export her ideas to other religions. How great would it be to visualize the networks of liberal and orthodox Protestant theologians over a period of time to see just how final the Fundamentalist-Modernist controversy was? Or make a deep map of an urban Archdiocese to explore the complexity of American Catholicism? The seemingly endless opportunities for digital religious studies is one of the main reasons I’m so excited to be organizing a THATCamp for the November meeting of the American Academy of Religion in Baltimore. But the real strength of these digital projects, I think, is the opportunity they provide for an even broader public engagement. The inextricably public presence of such born-digital projects provides an unprecedented opportunity to connect serious academic research with the widest possible audience in ways that neither betray the integrity of scholarship nor belittle the public’s interest. Take, for example, Lincoln Mullen and Erin Bartram’s recently launched American Converts Database. The project is a kind of open research repository that allows two graduate students working on the history of religious conversions to collect and collate converts in nineteenth century America. 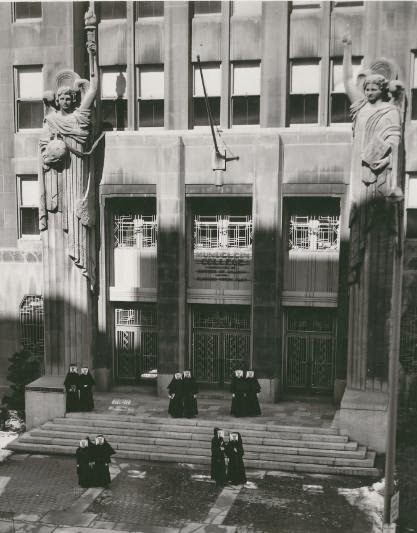 But the stories and documents collected there will also provide an easily accessible source base for anyone to explore the fluidity and dynamism of American religious history. This kind of public connection—and contribution—is vital in age in which newspapers openly flaunt the supposed uselessness of a degree in religious studies and state legislatures consider shuttering humanities departments. But it is also a mutually beneficial endeavor. So what about everyone else? What other outlets do you see that could contribute to a publicly engaged religious studies. I was WONDERING why my browser kept crashing with screen after screen of GIF-driven hellfire. Now I know why! Good thing March Madness is coming to an end. @pj_webster Many thanks for this Chris. It connects I think to a similar lack of engagement with open access publishing in religious studies.